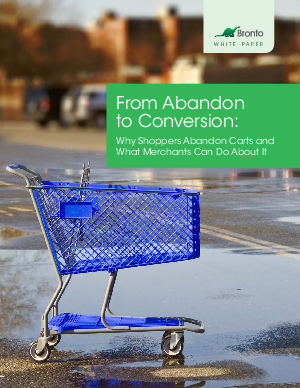 All online retailers experience shopping cart abandonment. In fact, with rates averaging between 60-70%, marketers know that the majority of shoppers who start the checkout process will leave before completing it. Those departing shoppers represent a significant amount of revenue. To recapture as much of that revenue as possible, you need to be aware of reasons for abandonment and the top strategies for bringing those shoppers back.